‘New Look’ was a triumphant trend in design in the 50s and 60s. Characterised by soft, biomorphic shapes and asymmetrical, organic lines, this style was inspired by abstract and avant-garde painting. With a strong simplification of silhouettes and almost complete resignation from details, ‘New Look’ emphasised individual characteristic elements, which determined the expression of the entire object. It inspired four Polish artists, Lubomir Tomaszewski, Henryk Jędrasiak, Mieczysław Naruszewicz and Hanna Orthwein, to create something that would be a perfect decoration for a modern, middle-class home. 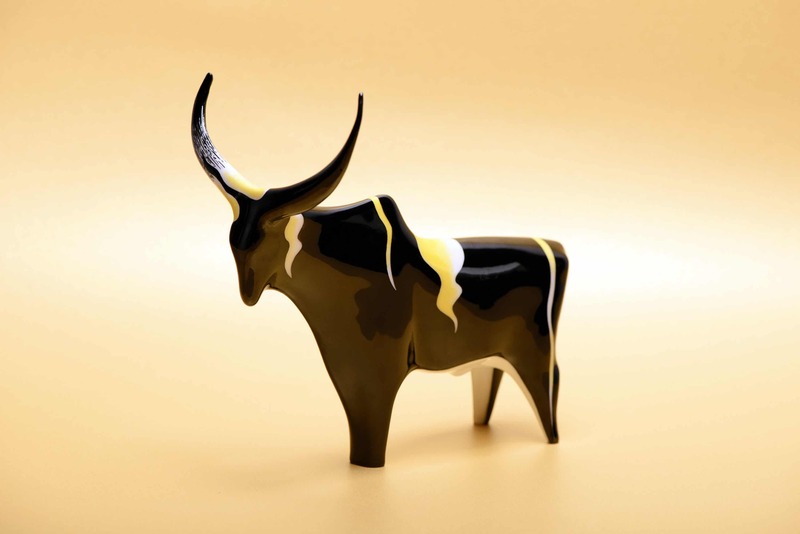 ‘African Buffalo’ by Lubomir Tomaszewski. Courtesy of AS Ćmielów Porcelain Manufactory. These four artists started to produce figurines, which soon became the most famous achievements of Polish industrial design. The figurines were handmade in Ćmielów from 1958. Initially, in small series, they were manufactured as part of the Experimental Production Department created by the Warsaw’s Institute of Industrial Design and sold in selected shops. Despite their relatively high price, tiny sculptures were finding buyers very quickly. Today, figures, especially the ones made in small editions in the late fifties, are breaking auction records. Until recently, Ćmielów figurines could be bought cheaply at flea markets. Today, for some rare models, their enthusiasts are willing to pay hundreds of pounds. That is why after many years the factory in Ćmielów decided to restart their production. 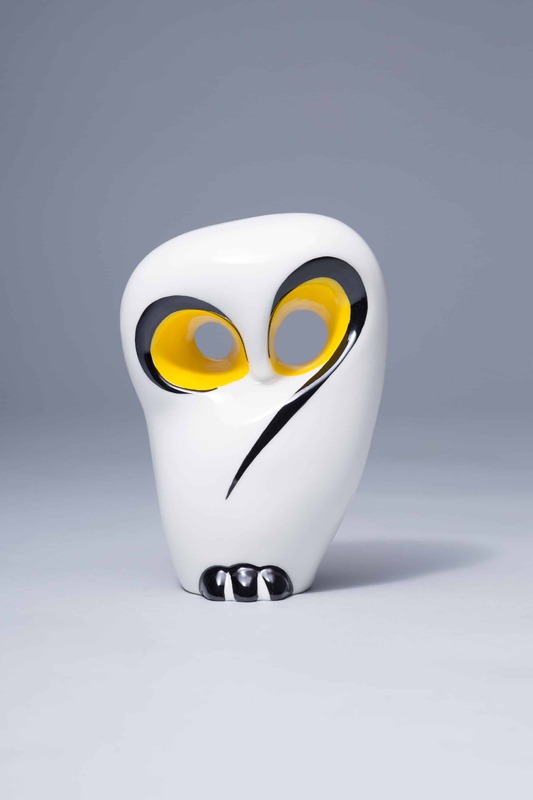 The porcelain figurines made by Polish designers, often in black and white, depict home, forest, farm and exotic animals, less often human characters. Referring to the stylistics of Henry Moore, Constantin Brancusi and Pablo Picasso, they remain extremely modern. ‘Owl’ by Hanna Orthwein. Courtesy of AS Ćmielów Porcelain Manufactory. The Polish artists’ meticulous workmanship pleases the eye and is a reason why their projects were internationally acclaimed and so iconic since the very beginning. Ćmielów figurines, shown during various fairs and exhibitions in Berlin, Moscow and New York, were also mentioned in “The Studio: An Illustrated Magazine of Fine and Applied Art”, in its annual special edition devoted to the best-applied art pieces. Who would have thought that an experiment will result in the pearls of design, and that maybe someday Ćmielów figurines will be almost as iconic as the famous Meissen or Nymphenburg porcelain? ‘Sitting Cat’ by Mieczysław Naruszewicz. Photo by M.Koniak. Courtesy of DESA Unicum. ‘Little Horse’ by Zdana Kosicka. Photo by M.Koniak. Courtesy of DESA Unicum. ‘Camel’ by Lubomir Tomaszewski. Photo by M.Koniak. Courtesy of DESA Unicum.